We’re pleased to be able to offer numerous top Rheingau vintners support during the harvest. 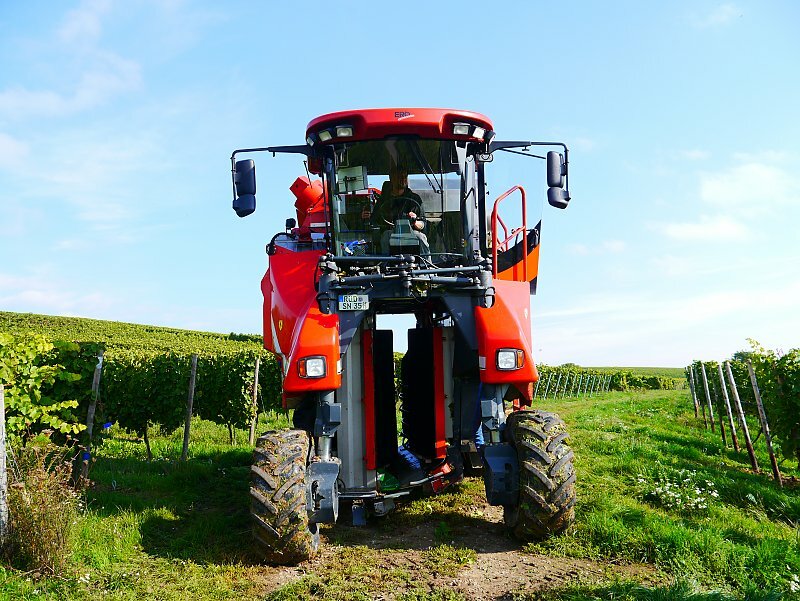 With our three mechanical harvesters and the most modern cellar technology, we’re able to gently harvest and, if desired, process our partners’ grapes. We’d be happy to help your wine estate, too, during the next harvest.